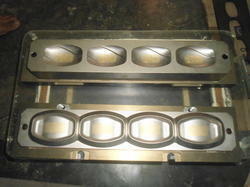 Manufacturer & Exporter of Soap Stamper Die Set. 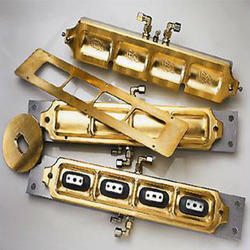 Our product range also comprises of Soap Stamping Machines, Soap Cutting Machines. We have in store for our customers a broad collection of Soap Stamper Die Set or Die Set for All Soap Stamping Machine which is in compliance with the standards laid down by the global market. Their sturdy built, longer life, and operational fluency make these machines a preferred choice of our customers. Additionally, we check these on different aspects before final shipment of the order. Looking for “Soap Stamper Die Set”?